The World Wide Fund for Nature has come up with a unique and fun way to help save animals. We all know of the 17 animal emoji found in iOS and Android. By signing up to the WWF’s campaign on Twitter, you can donate to save these animals by simply tweeting those emoji, adding $0.11 (Rs 7.04) each time to your contribution. 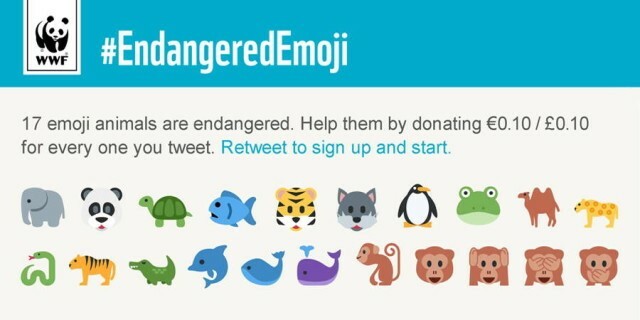 At the end of the month, the WWF will tweet you with your tally and a link to donate that sum. Although there is no obligation to donate, this is one of the most intriguing approaches by a humble organisation to raise money for a noble cause.